Dover Aggressive Dog Training: It Really Works! John Van Olden customarily succeeds in eliminating aggressive behavior with dogs showing over-aggressive traits, such as growling, barking and biting. In many cases, dog owners bring their dogs to us after working with one, two, or even three other dog trainers, without success. These poor people often hear terms like “lost cause” and “impossible to train”, but we have been able to prove those trainers wrong again and again. Most of these owners had all but given up hope… until they met Johan! John Van Olden has been a professional dog trainer and dog behaviorist for more than 30 years and has trained more than 200 dog trainers worldwide during that time. Because he has helped aggressive dogs to solve their issues, Johan has no doubt in his ability to properly train and work closely aggressive dogs, regardless of breed, age or disposition. 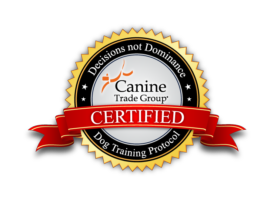 Even dogs with a track record of biting people have been trained successfully by John Van Olden Professional Dog Training, serving Dover, DE and the Delaware Beaches. Dog aggression is a behavior that normally turns off dog trainers, but John Van Olden Professional Dog Training is confident in their ability to deal with this behavioral problem and finding optimum methods for alleviating it. What is needed to address aggressive behavior? To effectively resolve aggressive behavior, it is imperative to look beyond the symptoms and carefully evaluate the cause. This is where John really knows his stuff about how to pinpoint the causes of the aggressive behavior and finding a viable solution to deal with each unique case. Being cognizant of the fact that dog behavior is the result of a variety of influencing factors, John always carefully considers all likely influences, including the dog’s atmosphere at home and he/she’s relationship to its family. After assessing the dog from every perspective, John studies all of the information that he has collected to devise a plan that resolves the aggression, by addressing the dog’s behavior in its entirety. By doing it this way, he has built a reputation for getting great results with even the most aggressive dogs! To see it for yourself, watch some of John’s videos of aggressive dogs that are now calm and collected canines thanks to the work done by John Van Olden. If you and your dog are suffering from the results aggressive behavior, we want you to know that this doesn’t have to be a part of your daily life anymore. Call John Van Olden at 800.649.7297, or fill out our contact form to talk with us about your particular case, because we’d love the opportunity to help!